For sale is this rare pair of button earrings designed by Kate Harris. 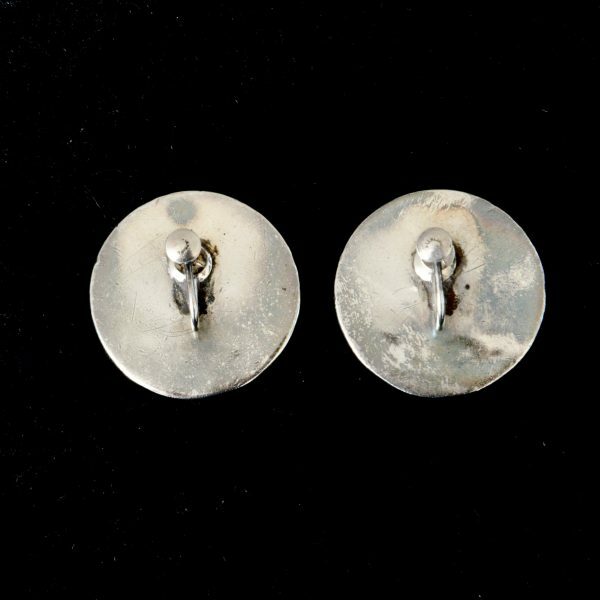 Kate Harris left William Hutton’s London studio in around 1904, after marrying a Swedish silversmith living in England, who made these earrings. 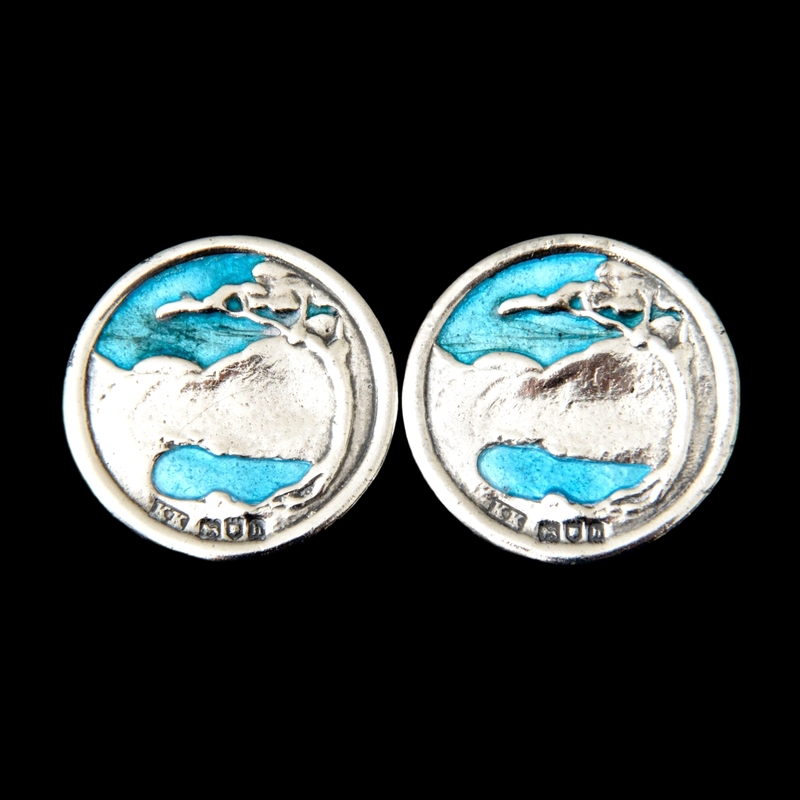 These earrings are marked for 1903, the first year that Kate Harris started designing for her husband and the year he registered his mark. The earring stems are marked silver, suggesting they were added in the US some time later.